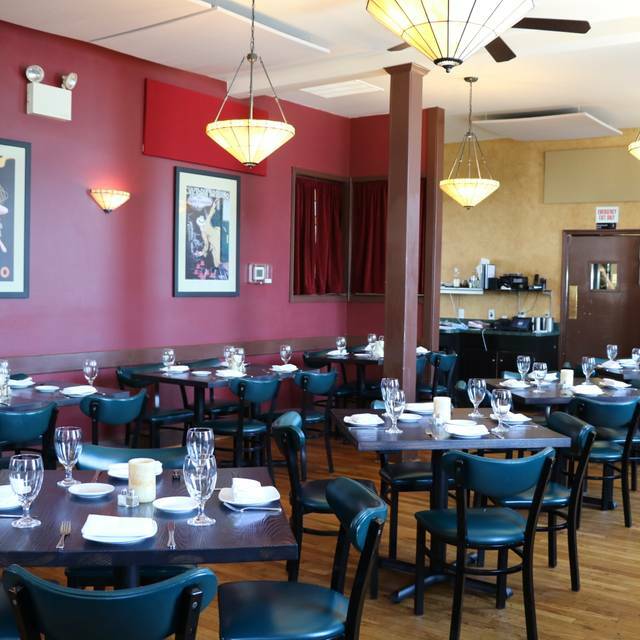 A neighborhood staple since 1984, Victor's has evolved into the perfect reflection of an Italian Trattoria. Though the quality of the food, thoughtfulness of the service, and the caliber of wines, beers, and cocktails offered may hint at a more upscale Ristorante, Victor's remains a cozy neighborhood spot, perfect for all occasions. The menu changes with the season and highlights local products when possible. 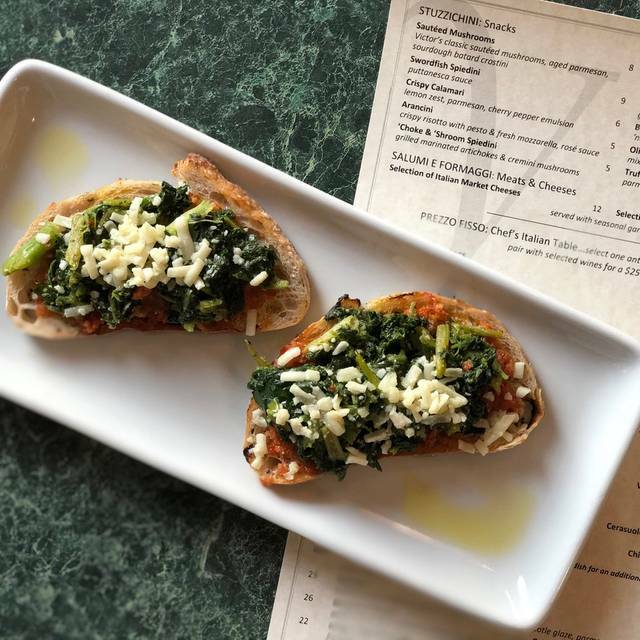 Come and enjoy stuzzichini (snacks) at the bar with a pint from a local brewer or pair any of our more than 100 wines (over 1/3 of Italian varietals) on our wine list with Chef''s Prezzo Fisso menu. We were celebrating a friends promotion and wishing her luck in her new city and Victors made everything perfect! Waitress was knowledgeable and able to offer suggestions! Food and service where outstanding!! I Little pricey but WE would go back for sure!! The swordfish, salmon, and filet mignon were cooked perfectly! Both fish dishes were cook til moist, not overcooked until they were dry. The filet mignon was really cooked to medium rare, as requested. This restaurant knows how to cook fish and meat! Our waiter and service were fantastic. We would definitely go again and recommend to others. Great place! I’ve been here 3 times in the past month, so it’s obviously become a favorite. Great experience to dine and visit with varied-aged family members! Food and service were excellent. Very nice menu selections. Good wine and spirits selection also. We both ordered the Filet. It was grilled to perfection - charred on the outside and medium on the inside, as requested. We don't normally like asparagus, but the way they prepared it was delicious. The wine selection is good, and the service is friendly and professional. We'll definitely go back on our next visit to York. The food was amazing. My husband and I each a salad and an entree and we shared our dessert. There was not a morsel left on either of our plates. Our server was fabulous. Second time eating here. This visit felt we would have been better eating at home. Chicken parm was over cooked and meatball app a bit dry. Highly recommend this exceptional restaurant with their attention to detail, great service and wonderful food. Went to Victors with a group running an event at the York Expo the next day and wanted a special place to take everyone and we definitely found it. Looking forward to outdoor dining in the summer. Not a large restaurant which suited us just fine! Thank you for a great dining experience. What a gem! The location is excellent and the food is unbelievable! I cannot believe that we have not eaten here before! The service was exceptional. Hats off to the chef, bartender, waiter and the owner. They know what they are doing here and they do it well! We cannot wait to go back. However, the next time we are taking friends with us do they can experience it! My wife and I joined friends @ Victor's for the second time. We absolutely love the food. Staff is very knowledgeable with eating gluten free as my wife does have celiac. No issues there at all, thankfully. We will definitely be back, hopefully soon. Wonderful place and staff, but my dish was cold and old, not microwaved enough, disappointed is was not fresh to begin with. Great food, great service, great music! We always come back! A great dinner with friends at Victors. Our server Brigitte did her usual great job greeting us and taking care of us. The service was attentive without forcing too fast a pace. Our wines were very good but inexpensive. The pork loin with cannellini beans I had was cooked perfectly and the tartufo for dessert is pretty decadent. 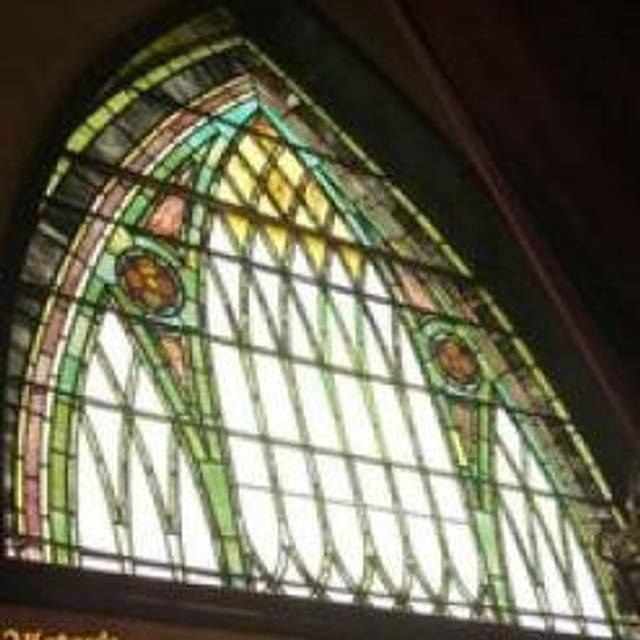 It’s very hard to beat Victors for a friendly atmosphere, attentive service and good food. Delicious dinner! Always a great selection ! Enjoyed the live music. Victor’s has always been one of my favorite restaurants in York. The service is excellence and the food is phenomenal! I would recommend Victor’s (and I do) to everyone I know. Your restaurant was one of the best I have ever been to. Food, atmosphere,service everything was exceptional. We will definitely be back and also recommend you to everyone. 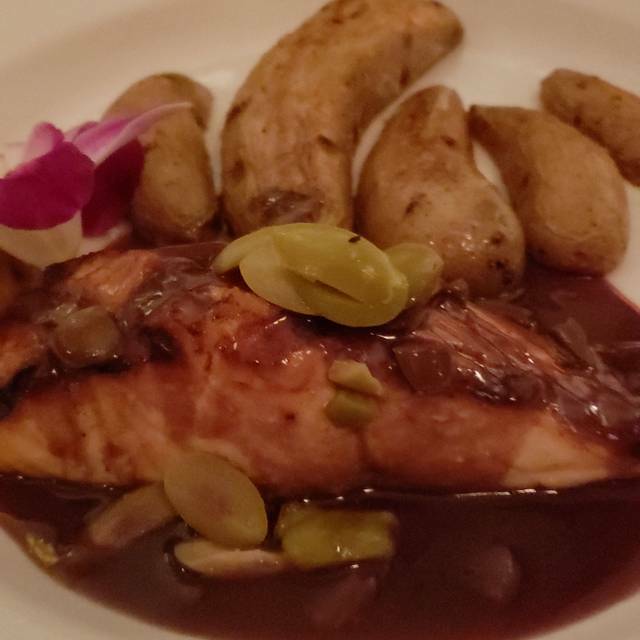 Incredible food, incredible service, our go-to spot for special occasions. 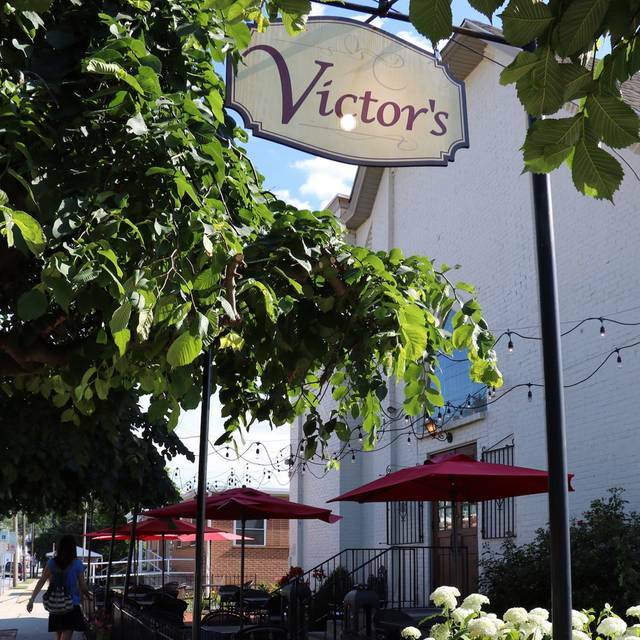 We dined at Victors for restaurant week. The menu was a good variety to sample different types of food. My husband had the soup and this was his favorite part of the meal. He had chicken prosciutto item on the menu. It was quite tasty, the chicken was done well. The prosciutto was a very subtle flavor and would have liked more than this. The wine sauce on top was a bit underwhelming. I had the goat cheese risotto with scallops. My entrée was delicious but wasn't real warm. 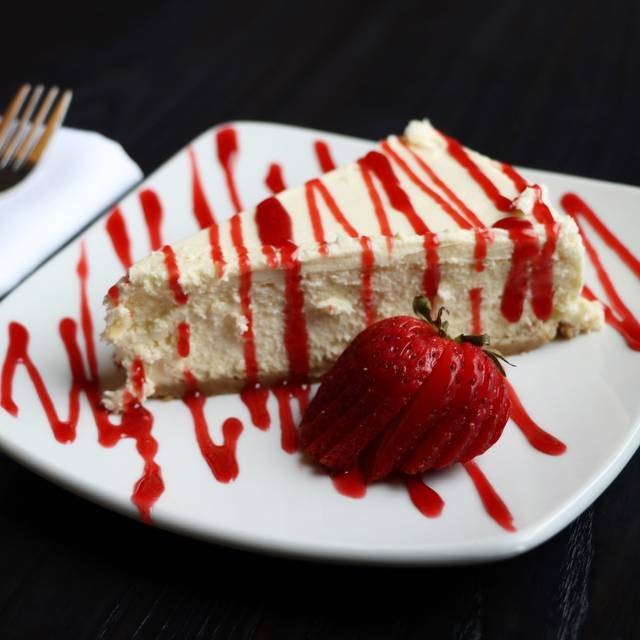 Cheese cake was top notch. Service was friendly and prompt. Food was amazing and for the price, a great value. Each course seemed to get better. My woodford Reserve old fashioned was ruined because the seltzer came from a dirty bar hose. The spaghetti Bolognese was overly nutmeg-y with very little taste. First visit for restaurant week. Service was outstanding and food was good. This was the best meal we have had out in a long time. The octopus appy was amazing. Great service, great food and great prices. Will definitely visit again soon. I wanted to like this place. I had been to Victor's many years ago with my mother. But, with more and more good food options opening up in York, Victor's did not impress me for what you spend. We had three different dishes, which I would consider very good (winter salad), good, (stuffed shells) and poor (steak with fries and breaded chicken). However, the least impressive part of the experience was the service. I felt that Victor's lacked energy and communication. Our waiter barely talked, and twice I spoke to him while he was walking away (because he put things down so quickly and left), and he didn't hear me both times...or ignored us, I cannot know. Nobody seemed friendly at Victor's and only the young men who poured us water seemed careful about what they were doing. Victor's seemed drab and tired. I realize it's been around a long time, and so maybe it is just catering to a certain group that likes the ambiance there. Victor's might be for some, but for not for my wife and I. Love this place! The food and wine we're very good! I would give it another shot, but service was a little clumsy. Brought the 2nd course 1st. 1st 2 courses were superb. 3rd course was terrible. Her steak was bland and chewy, my salmon was so overcooked that it was dry and shredded to bits. It can't be that hard to cook a 4 inch piece of salmon. My last glass of wine had a bunch of sediment in it as well. It was the Sat after Valentines day and they were very busy. Would give another shot, but for 200 dollars, it was not a great value. Excellent lunch with my daughter...great food & quiet enough for conversation Thank you, Victor's, for another terrific experience! We will return for sure and recommend this restaurant!!! Good food and service for Valentines Day dinner. Excellent food combinations. We had a very nice evening at Victor’s. We each had a course that was lacking in some way (over cooked stuffed shells, the wrong salmon dish delivered) and a slightly nervous waiter. All in all, we would definitely come back. Victors Italian salad was very good. I had the Bolognase which was great as well! My husband had the salmon which he said was good. Amazing! Don't wait. Just go. You will not be disappointed.